Hi everyone! This is the nail art that started it all for me! Well, actually, if you read my About page, you will know that I’ve been addicted to nail polish and nail art for a few years now. 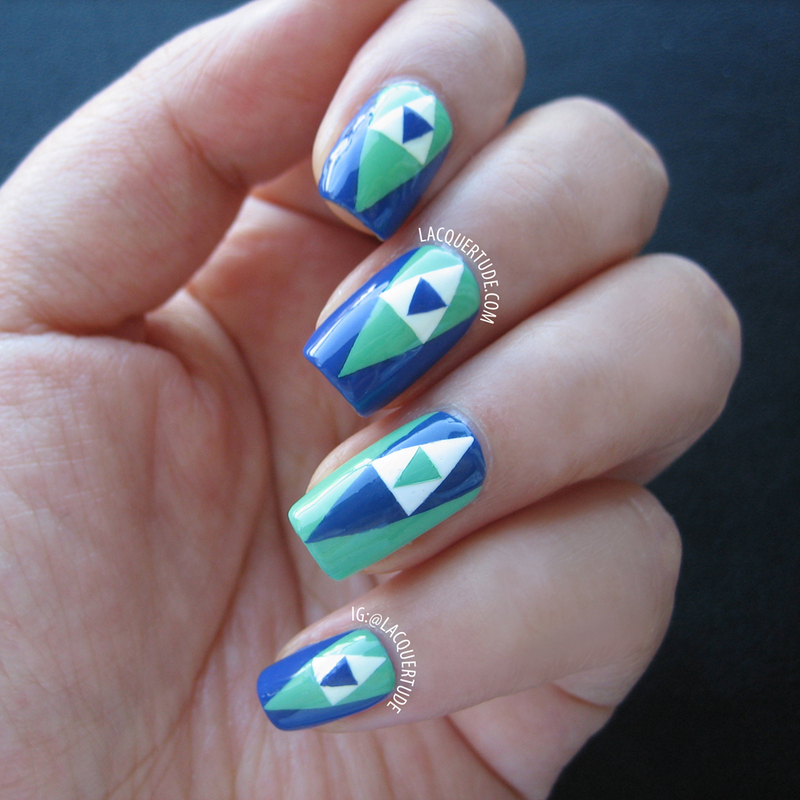 However, this Nested Triangles design was my first original nail art, and one that led me to start my Instagram account and eventually my blog! The color combination was inspired by the book cover art for Harry Potter: The Chamber of Secrets. 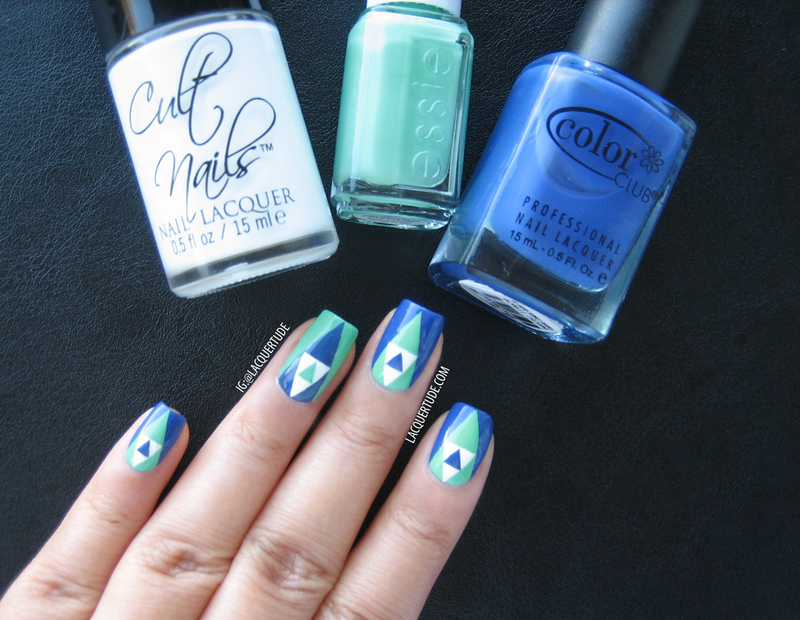 And the triangle is by far one of my favorite geometric shapes. Combining the two, one night, this idea sprang forth into my mind and I had to set it free by creating it on my nails the next day. I got all of the polishes (except the base coat) from Nail Polish Canada.com. This look was so much fun to create and the color options are endless! Hope you liked it as much as did.